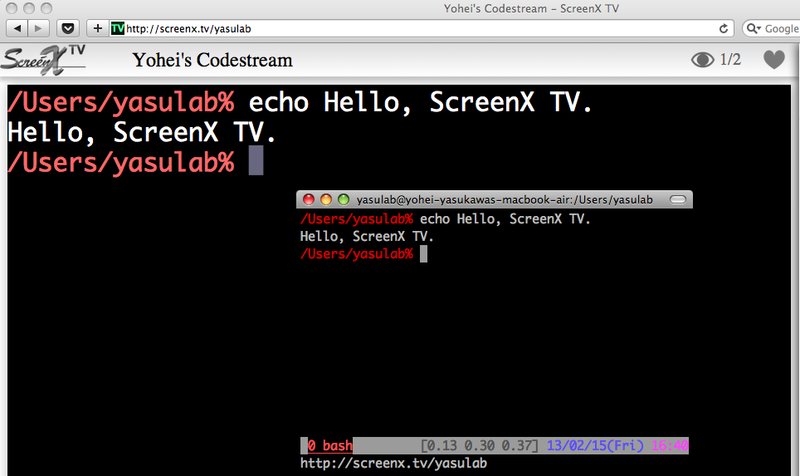 ScreenX TV enables you to broadcast your terminal. Show your live coding for a study session or hackathon. ScreenX TV hosted a server for easy-to-broadcasting your terminal. so you need to set up ScreenX TV server to receive your broadcast.